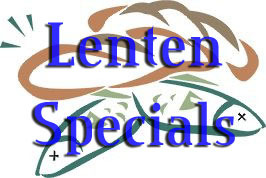 Visit us on Wednesdays and Fridays during Lent and enjoy our Meatless Specials! We will be offering a fish sandwich for lunch and a fish special during dinner. Ask your server for more details. See restaurant for complete details/restrictions.